Inhabiting the largest tropical rainforest on planet Earth, it is believed that Amazon wildlife accounts for a third of the world’s species of plants and animals. From slithery reptiles to endangered flora and fauna, there is no doubt that Amazonian wildlife is as varied as it is exotic, making for a unique experience for all who plan to step foot within Iquitos, Peru. 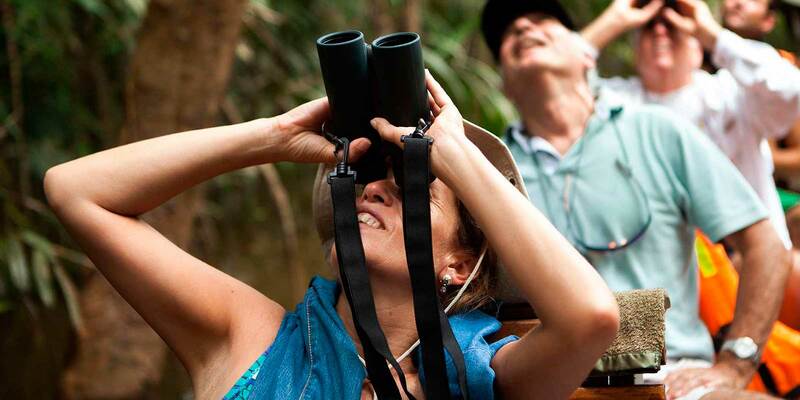 And to make sure you don’t miss out on experiencing its wide array of biodiversity, take part in a tactfully planned luxury river cruise with Delfin Amazon Cruises. With Delfin, you will be in the good hands of those who have grown up within the lay of the land for years, making sure you witness all of the Amazon wildlife Peru has to reveal. 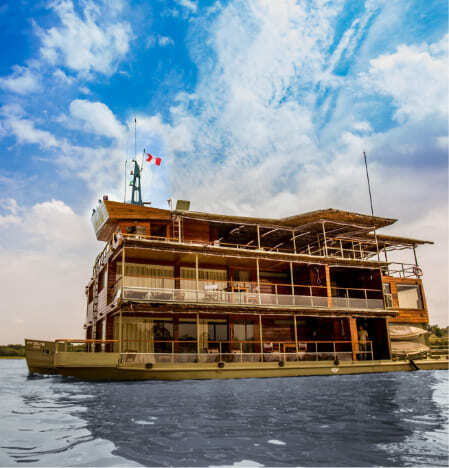 Undeniably, going to an ordinary zoo cannot compare to the experience you’ll have when booking a luxury river cruise with Delfin. 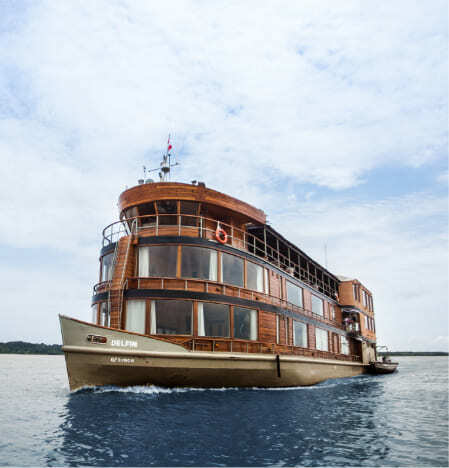 Because all of our voyages start and end in the heart of the immense rainforest, guests will be able to take up-close shots and record impressive videos of the Amazon wildlife in its natural habitat at all hours of the day, including pokey sloths hanging among the treetops by day and ever-elusive caiman lurking along the river banks at night. 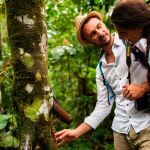 Also, those who hike into the Pacaya Samiria National Reserve will experience a once-in-a-lifetime opportunity to learn more about where these native animals call home. Take pride in being able to enlighten yourself about the Amazon wildlife in a place that few have crossed off their bucket list. The surround sound of your home entertainment system while watching the Discovery Channel cannot prepare you for the awe-evoking orchestra that comes to life at night in the rainforest, carefully choreographed by the Amazon wildlife. 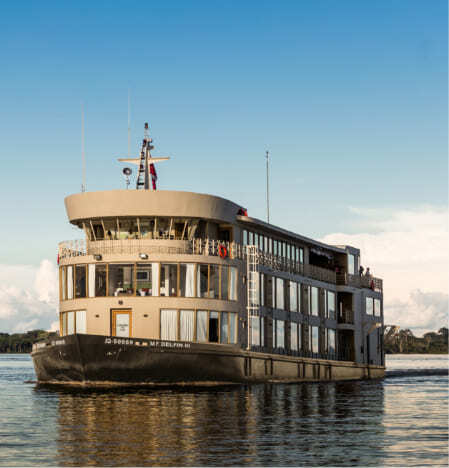 Partaking on a luxury river cruise with Delfin will allow you to have the best and safest seat in the house to indulge in the sounds of the Amazon river wildlife. While they seem to come from just a few feet away, sounds from the Amazon wildlife can travel for miles across the still waters, especially after the sun sets. Sit back, relax, and enjoy live performances each night, featuring the stridulating of cicadas and mating calls of poison dart frogs that can be heard among the thousands of natural musicians who dwell within the rainforest of Iquitos, Peru. 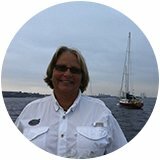 While we can’t guarantee any two luxury river cruises will be identical, what we can ensure is the broad diversity of animals the area has to offer visitors. Because guests onboard Delfin are exposed to nature at all hours of the day, spotting Amazon wildlife is never more than a quick glimpse away. As a matter of fact, after Brazil, the majority of the Amazon rainforest wildlife and its habitat can be found in our very own country, surrounding the largest city in the world that you can’t reach by road, Iquitos, Peru. 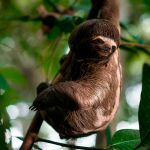 Spider monkeys, pink river dolphins, jaguars, and two-toed sloths are just a select few of the mammals that call the Peruvian Amazon home in addition to reptiles and amphibians like boas, anacondas, and hundreds of frog species. The diversity of Amazon wildlife is hard to locate elsewhere! 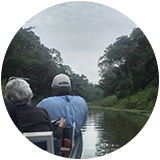 At Delfin, we value Amazon wildlife conservation and believe in leaving the virgin lands exactly as we encountered them. By doing so, its treasures are able to be continually passed down year after year for those who rely on its invaluable resources to live as well as for those who travel across the world to get a taste of a genuine rainforest experience as well as the diversity of Amazon rainforest wildlife it has to offer. 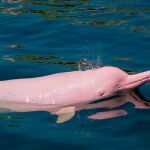 When embarking on your luxury river cruise with Delfin and participating in several of our guided nature excursions, be mindful of the beauty of the Amazon wildlife around you as we strive to protect its precious species and their natural habitat. Because together, we can support the health of the rainforest and its surrounding ecosystems to keep our environment thriving. Our naturalist guides will use their knowledge as locals of the area as well as their professional experience to show you as many examples of local fauna as possible. After all, the Amazon Basin houses the largest collection of living plant and animal species on Earth. Our planned activities will immerse you into the Peruvian Amazon rainforest and rivers, always with respect towards the safety of our guests and the wildlife. Currently our boats are not equipped with internet access. 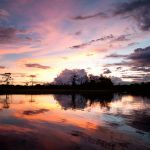 We hope you understand and take this as an opportunity to disconnect from your typical routine and connect to all the Amazon has to offer.